Boofle is a much-loved greetings cards character found in a number of UK stores, such as Clintons and Tesco. We first started working with UK Greetings, the creators of Boofle, in 2012 when they required their first Boofle app. UK Greetings are forever on a quest to improve Boofle's digital presence, increase reach and boost sales in store.They wanted to do all of this whilst maintaining the Boofle’s brand; Boofle has a loyal following and his character is an important part of this. To do this UK Greetings required guidance with building their digital strategy. They needed help with idea development and producing the digital products. We have worked on many projects with UK Greetings, since 2012. We have built apps, websites, a virtual reality experience and we produce a number of social media animations each year. 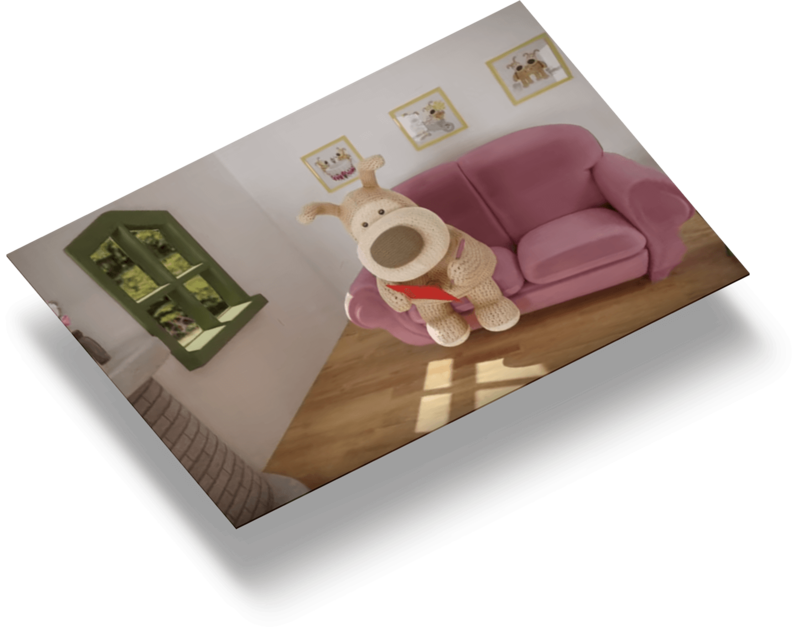 In 2016, we also modelled and built the Boofle's Home virtual reality experience for the HTC Vive. The VR game was originally built as a stand attraction for the Brand Licencing Europe event. UK Greetings wanted to showcase the brand to delegates quickly. Keeping the speed of the experience in mind, we created a Boofle-themed garden. There were a number of interactive elements in the world, that were quick and simple for delegates to play with. In early 2017 we made amendments to the experience so it could be released to Steam and Vive Port and played on Oculus. We have also built a number of apps for UK Greetings and Boofle, including the Photo Boof app and the Boofle's Home app. The Photo Boof app was the first project we worked on with UK Greetings, back in 2012. The app was for iOS on mobile and tablet. The app used the device's camera and stickers to allow users to take photos with Boofle. The Boofle's Home app was built at the start of 2017, shortly after the VR experience. The app was a hybrid build (for iOS and Android) and was developed in Unity. 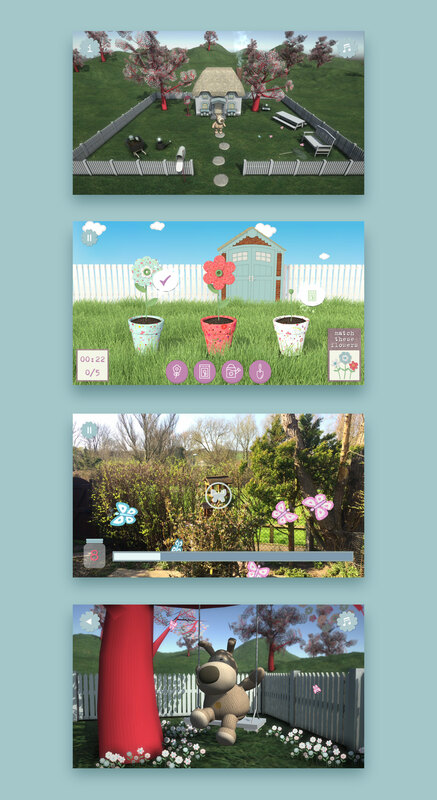 The app includes a number of games for the user to play, including an augmented reality butterfly catching game. Boofle now has an integrated online presence and is reaching increased amounts of fans via mobile, VR and social. Having worked with Eden Agency for several years we find them to be easy to work with and always happy to help. They are responsive to project requests, good communicators and have broad knowledge and experience in all areas of digital marketing which we have found invaluable. We look forward to continuing a great working relationship and collaborating on exciting new projects.